Travel-Tot: Books We Love: PJ's Backyard Adventures! Books We Love: PJ's Backyard Adventures! This week, I am privileged to have the opportunity to share with you my review of the new children's book, "PJ’s Backyard Adventures - Who is PJ?." This book is the first in a series from Rebecca P. Cohen, the author of "15 Minutes Outside: 365 Ways to Get Out of the House and Connect with Your Kids". "Who is PJ?" is an interactive adventure book for ages 2-8 that engages children’s imaginations and joy of learning through coloring, reading, hidden sight words, creative play, and geography. It even features a "cut-out PJ" on the back for children to remove and take on their own adventures! I am thrilled to report that the children I shared this story with enjoyed it as much as I did! This adorable, accessible tale instantly captivated my "test subjects" (two 5-year old children, one boy and one girl). They not only enjoyed reading the story, but on each page they raced to see who would be first to find the hidden word, then had a blast coloring in the pages! But, perhaps most exciting of all, they both asked several questions about the spots PJ visited; guessing what a desert was, and trying to figure out what continent we lived on! This story, while simple, leaves an enormous amount of room for children to use their imaginations, and encourages active outdoor play by stirring curiosity about the world outside their own backyards. I would absolutely recommend this book for pre-readers and beginning readers. Parents will love how it spurs their children's love of the great outdoors, and helps them explore their own creativity; not to mention how it fosters basic reading skills through word recognition, vocabulary building, and writing! A fun twist on traditional first-readers, "Who is PJ?" 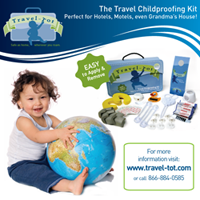 will open up a whole world of exciting adventures for your little explorer! Get your copy today on Amazon! For more information about worldwide distribution of PJ's Backyard Adventures, visit http://www.BeOutsideAndGrow.com. In the interest of full disclosure, I was compensated for my review with a free copy of this book. Great Holiday Getaways:Hotel del Coronado! Winter's Here: Safety and Sledding! Gear Up for Winter Safety! An Elf Away From Home!